written on Feb 13, 2019 on board. Everything from the beginning to the end was an absolute experience. Top class crew, divesites, Thistlegorm wreck, nice areas, great food, and lots of beautiful marine life. Samuel great instructor. Super staff, great diving sites, sleeping under the stars, good service and food. I would love to take this trip again. En general todo muy bien. No fue buena la recepcion en el puerto. Llegue 2 horas antes de las 18.00 y nadie me recibio. No hay check in. Tuve que preguntar a cualquiera y nadie sabia responderme hasta que a las 18.15 hs una persona me indico quie era el capitan del bote y me llevo a embarcar. We had an excellent minisafari 3 days to Thistlegorm, Ras mohammad and Temple. Profesionel crew, very helpfull and the food was amazing considering the small kithen. Samuel was an outstanding diveguide who had an excellent feeling of the groups needs. 3 Tage liveaboard voll mit wunderschönen Tauchgängen, viel gutem Essen, einer tollen Boots Crew und einem super Guide. Trotz nicht wirklich idealen Wetter- und Wasser Bedingungen wurde versucht alle wünsche zu Erfüllen! The vessel is comfortable for small groups. Weather hampered us a little but all efforts were made to get us to the best sites possible. Food was excellent. Service was excellent. Only criticism is that staff need to be careful not to smoke near vents. Cigarette smoke occasionally came through the vent system. Had a wonderful time overall. written on Feb 03, 2019 on board. Amazing experience, low season so alone in every dive site. Lots of marine life, garden corals..
Did a really nice trip on the king snefro 5, the crew was nice, a local experienced guide, amazing dive sites like the thistlegorm, yolonda reef, shark reef... special mention to the chief, the food was amazing ! Wir haten uns entschieden, mit einem kurzen Tauchurlaub dem grauen Zlltag zu entkommen - und das hat ganz toll geklappt! Die Crew war extrem professionell, das Equipment top und die Tauchgänge einzigartig. Das absolute Highlight war es die Thrislegorm zu betauchen - ein einzigartiges Wrack, voll mit Cargo und einer wahnsinnigen Vielfalt von Unterwasserfauna. Das rote Meer ist nach wie vor unglaublich attraktiv und dabei so nah an Europa. I have done some liveaboards, but no doubt King Sfero has the best crew ever. They are very friendy, fun and with excellent customer care skills. The food is amazing and they adapt to your special needs. 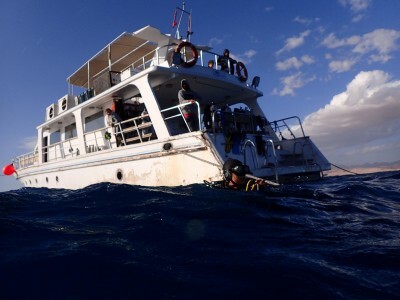 The dive guide is an expert in the red sea and is an great communicator underwater. He will show you all the different species and tell you stories about each of them. The dive sites are incredible, sometimes you feel like you are in an aquarium, others in a historical wreck. Hope to repeat this experience very soon! written on Feb 02, 2019 on board. We had a great 7 days on the Snefro pearl. Great food, cabins,staff. The diving was great but we didn't come in the best season so we missed some of the bigger stuff and it was a bit cooler than I had expected. written on Feb 01, 2019 on board. Excellent dive experience. The crew was very helpful. They made sure we enjoyed our trip even in the off-season. Saw lots of marine life, even a few sharks and turtles. The wreck dives were very good and interesting.